Cal Blu Homes is a family-owned design-build construction company that specializes in the residential real estate market for design+build services, new custom homes, major residential remodels, and new home additions. We pride ourselves with having diversified experience with various types of residential projects – from kitchen remodels to whole house renovations, home additions, and new custom homes. We have designers, architects and engineers that work along side us that allow us to offer complete design services and turn-key construction to our clients for any project type. 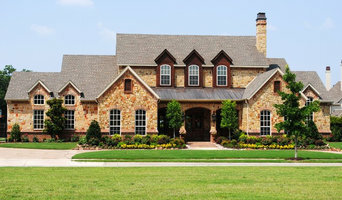 Patrick Custom Homes, Inc. is dedicated to providing excellent quality and service to each buyer. Quality and customer satisfaction from start to finish is our goal. Patrick Duffy, President of Patrick Custom Homes, Inc. has been building custom homes for over 25 years in the Dallas/Ft. Worth area. PCH is a member in good standing with The National Association of Builders and The Builders Association of Ft. Worth in Tarrant County. For the past 15 years, we have been recognized with awards for the design and quality of our homes. A Builder with experience and integrity, Patrick Duffy has also developed several subdivisions and commercial properties. 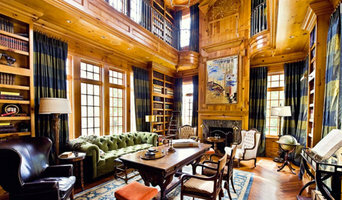 Even though he is very knowledgeable in all areas of construction, building custom homes is his forte'. Patrick's commitment is evident by his total availability to the customer throughout the building process. There is no "middle man" working for you. The owner of the company is building your home. We do not believe in generic homes, if you have an idea in your head and put it on a napkin, we can build your dream home. We are a full service design, build and remodeling company. We focus on customer service and attention to detail. We specialize in sustainable commercial remodels, and upscale residential projects. 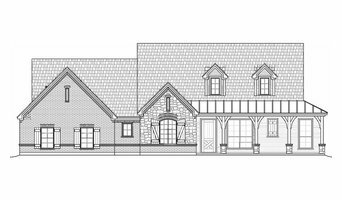 TANNER Homes offers services in design/build opportunities, lot acquisition, architectural design consultation, large scale remodels, and custom build to suit homes. Owned and operated by Tanner Rivera - a second generation Builder, he personally manages each project from the beginning starting with the design phase throughout construction until move-in day. His love for architecture and inherit ability to incorporate design into functionality is the power behind creating a true original project and home. Tanner focuses on offering what other builders would call upgrades as the standard in his homes. "It's about offering new age architectural styles, everyday use in-home technology, and modern building products and techniques in each home." He has been involved in the acquisition and development of properties in Preston Hollow, Devonshire, and Lakewood. His project styling consists mostly of Modern to Transitional features and design, however, continues to model new styles by blending the best of timeless and new age architecture for a true original home. 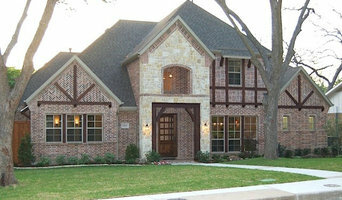 McBee Homes, a proud Custom Home Builder in Fort Worth, Texas since 1978. Piszor LLC is a family owned, award winning building and remodeling firm serving the Dallas-Fort Worth metroplex. Remodeling and structural designer for kitchens, bathrooms and room additions. K. Hovnanian® Homes® is a nationally recognized homebuilder that has been committed to excellence since 1959. To succeed for 50 years as a company, it helps to have a clear vision of what you stand for. Kevork S. Hovnanian had that vision when he created his homebuilding company. Today, K. Hovnanian® Homes® is still going strong by adhering to the principles set in place by its founder. He envisioned a homebuilding company whose homes would provide lasting advantages for years to come.